After what seems like a long winter here in the UK, it’s so lovely to see spring bulbs finally emerging in our gardens, adding a very welcome pop of colour. Only yesterday, I saw splashes of yellow on roadside verges, with crocuses and daffodils in bloom. And whether they’re in borders or in pots, these annual wonders of nature are a sign that longer days and warmer weather are on their way. If you’re not getting out in your garden very much at the moment, how about buying some pots of bulbs and putting them near your front door? The other weekend, I visited my local garden centre and bought three pots of Narcissus ‘Tête-à-tête’. I put them in terracotta pots and they’re now brightening up the window ledge outside our front door. It’s so lovely to watch their progress, as the flowers slowly emerge from their tight buds. But spring bulbs don’t have to stay outside. 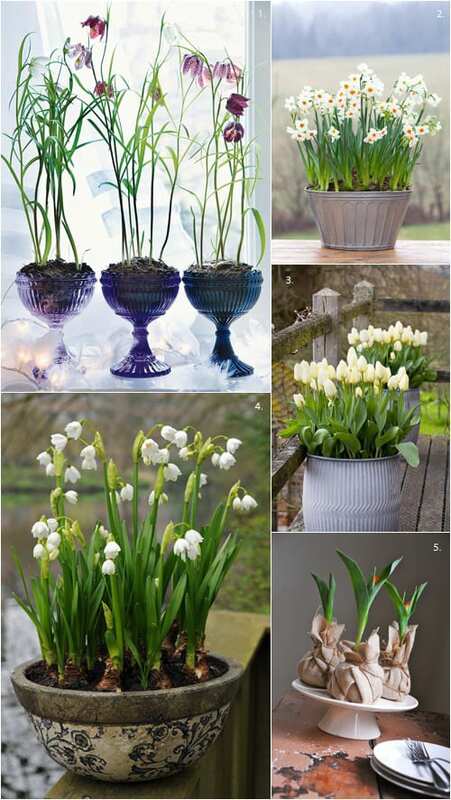 Why not bring a touch of nature into your home with muscari, fritillaries, crocuses, miniature tulips or snowdrops? 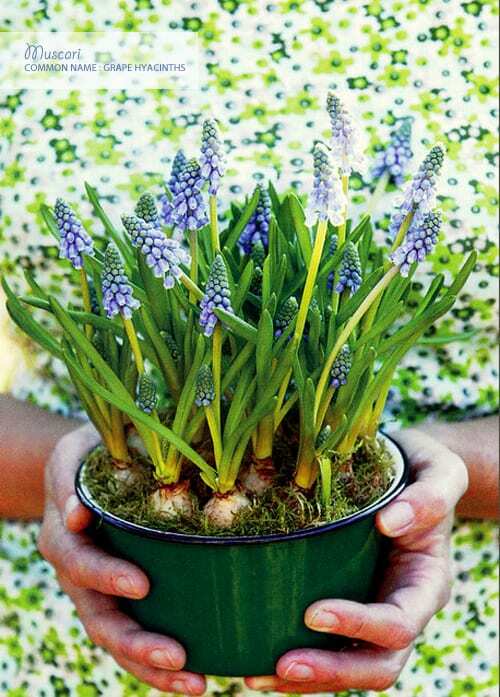 If you like scent, choose hyacinths (which you can grow in special vases) or narcissi. Put your bulbs in pots, cookware, vintage cups, baskets, glassware or even egg cups! Perhaps get your children involved too? 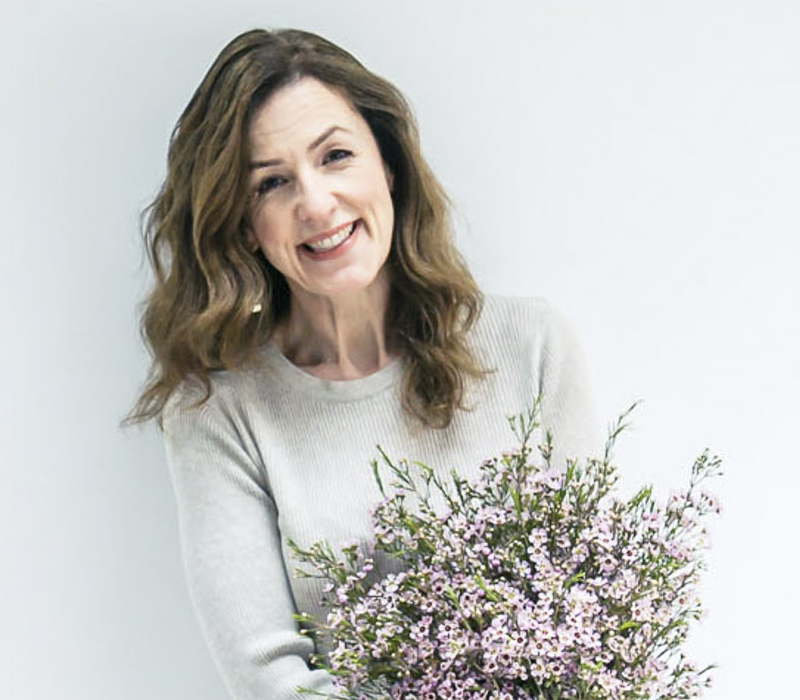 It was lovely to meet you today Rona at Covent Garden flower market. What an utterly inspiring place, buzzing with new ideas. Lovely to meet you today too Yvonne and thank you very much for your compliments about Flowerona! 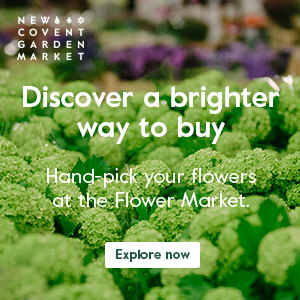 I’m so pleased to hear that you enjoyed your visit to New Covent Garden Flower Market and I look forward to following your floral journey :-). I love the scent you get from spring flowers and I am loving the unique way that you have used unusual containers to display them in. Thank you Lola. I can’t however take credit for the containers…I’ve credited the images at the bottom of the blog post :-).